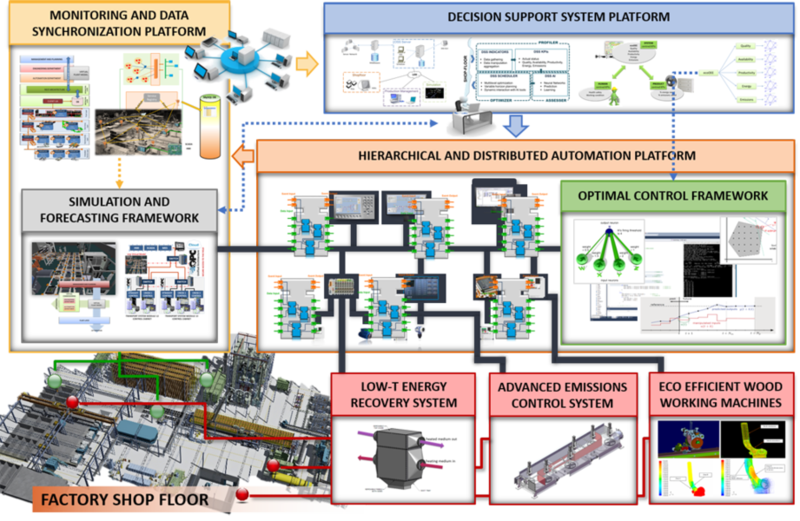 Factory-Ecomation is a challenging research project, whose technical objectives aims at innovating the way resources are consumed (and recovered) within a manufacturing Factory, acting both on new equipment developments and on the way those resources are controlled, chosen or managed. Framed in the context of the required evolution of the European manufacturing sectors towards a more sustainable model of production, the high-level objective of Factory-Ecomation is therefore to push the evolution of European factories towards a self-sustaining, zero environmental-footprint paradigm. 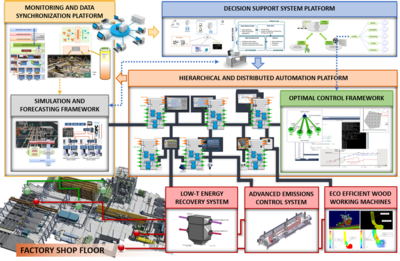 On the other hand, a layer oriented to the management and control of the factory, to create and command a real-time, efficient picture of the production, thus enabling its optimization towards more sustainable performance. A set of eco-optimized manufacturing and auxiliary equipment, to improve sustainability of the production process.